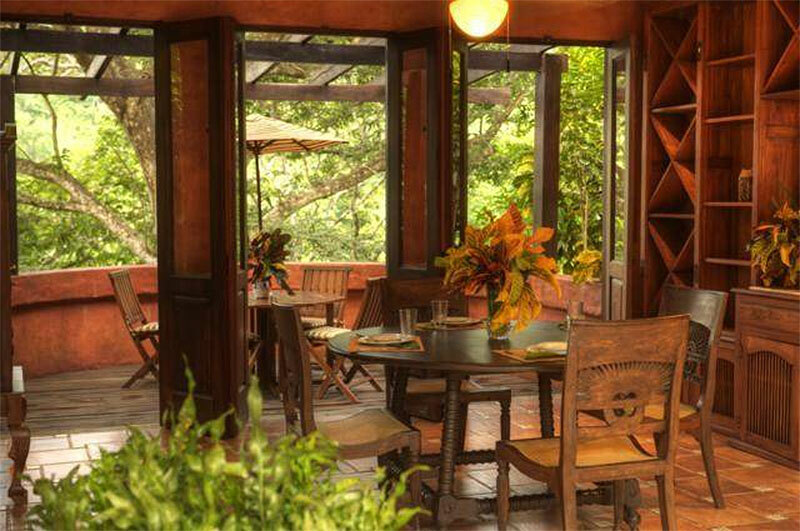 Situated on 403 lush acres of Jungle property in a remote area of Costa Rica sits Mel Gibson’s jungle compound of 3 villas. 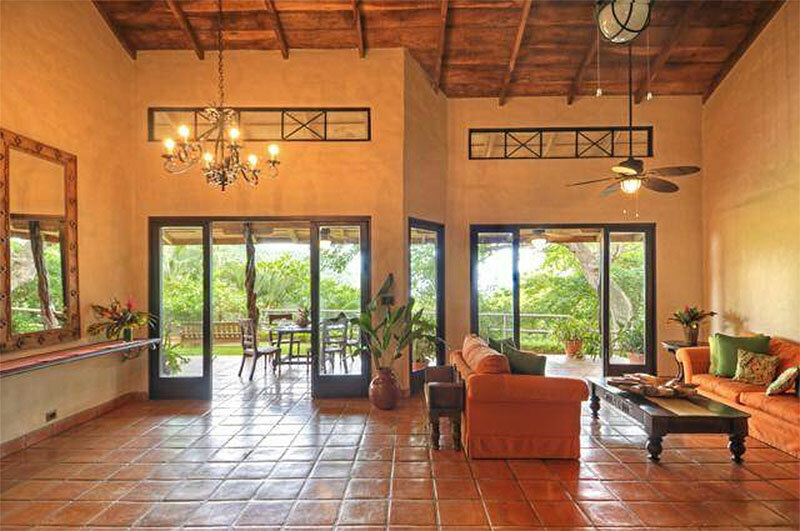 The villas on Playa Barrigona is comprised of 3 distinct vials, each built on a hilltop overlooking the Pacific Ocean. Not too shabby for a vacation property! 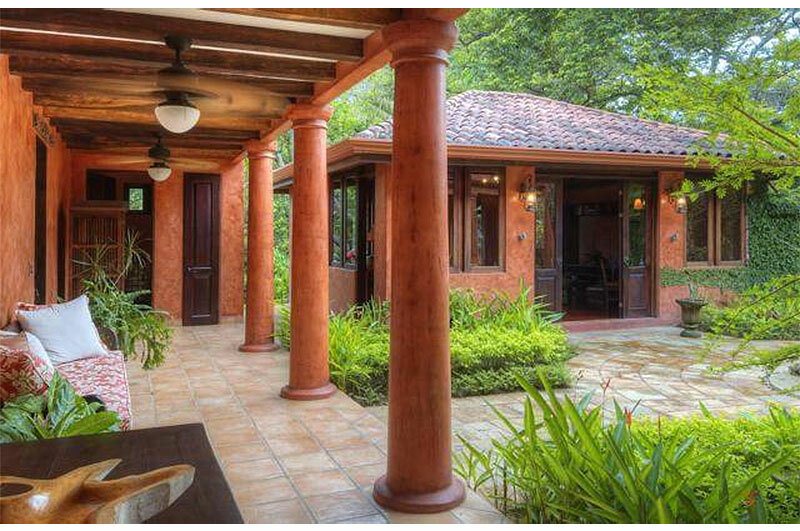 What I find interesting about this nearly $30 Million jungle compound is the modesty of the decor and furnishings. 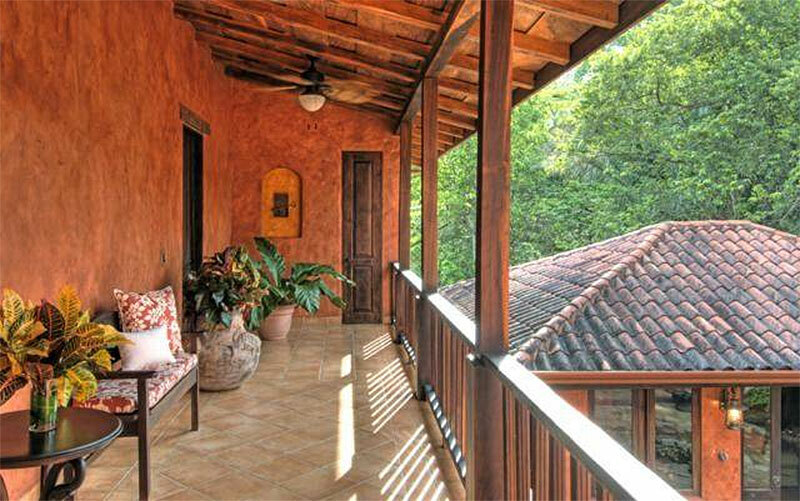 Everything looks and feels authentic to a Costa Rican home. 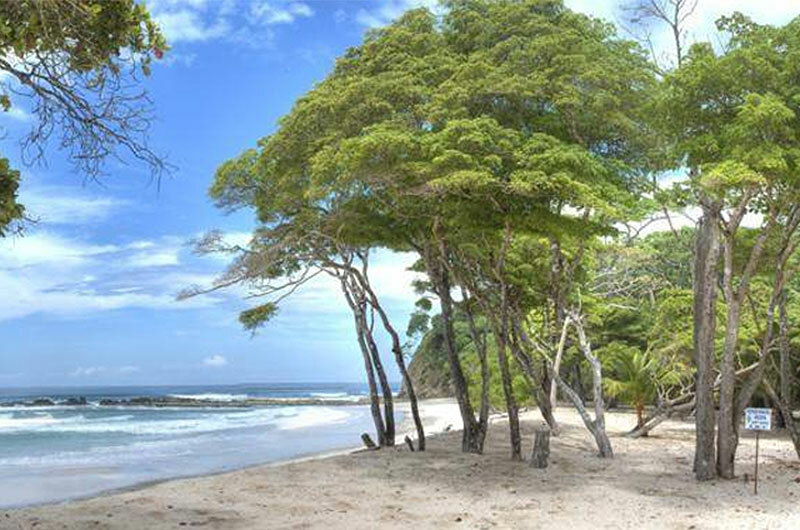 Perhaps on a grander scale with much, much, much more room – and your very own, private white sand beach – but still. 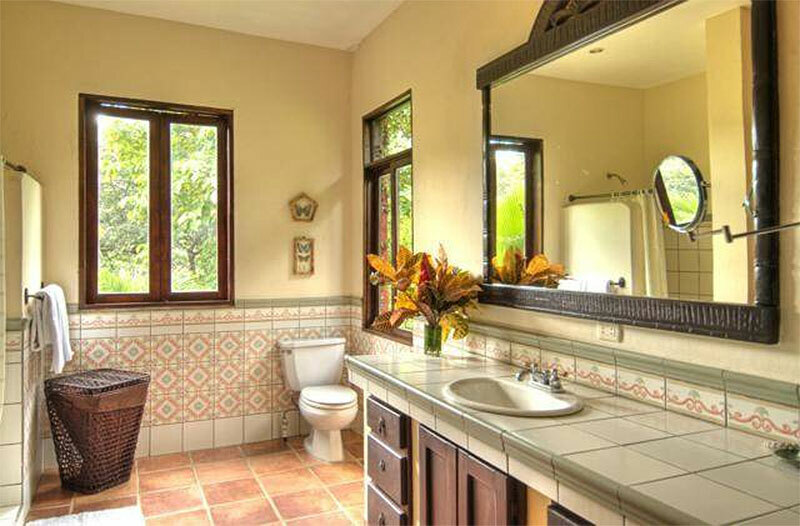 This is not really the interior I would expect from a $30 Million estate. But that’s not, necessarily, a bad thing. Don’t get me wrong. 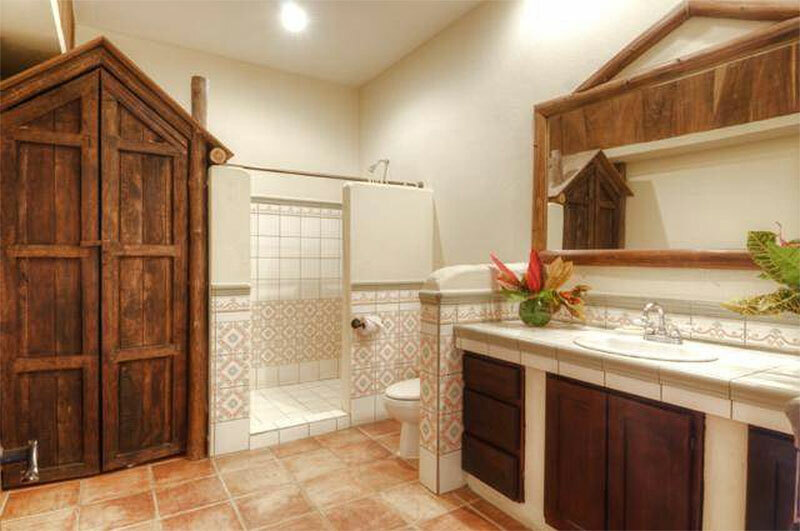 It’s not like Mel Gibson went to Home Depot or Target when creating this luxurious Jungle Home. 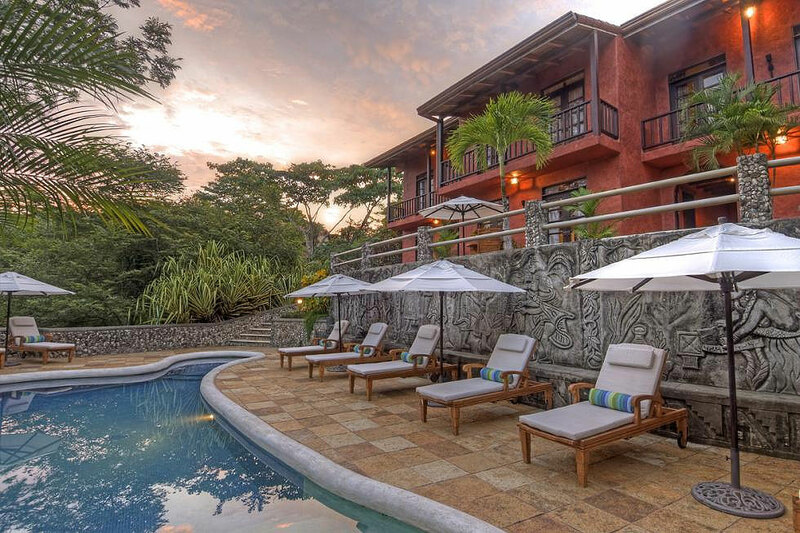 The villas have been custom-fitted with native Costa Rican woods, Italian & Spanish tiles, and have been decorated in warm Latin colors that perfectly compliment the surroundings. And some of that custom woodwork throughout the home is breathtaking. Plus, the entire place seems to have been designed to embrace the natural landscape around it. Perhaps not quite to the extreme of the Unique Home in Oregon, but the home seems at peace with the jungle around it. 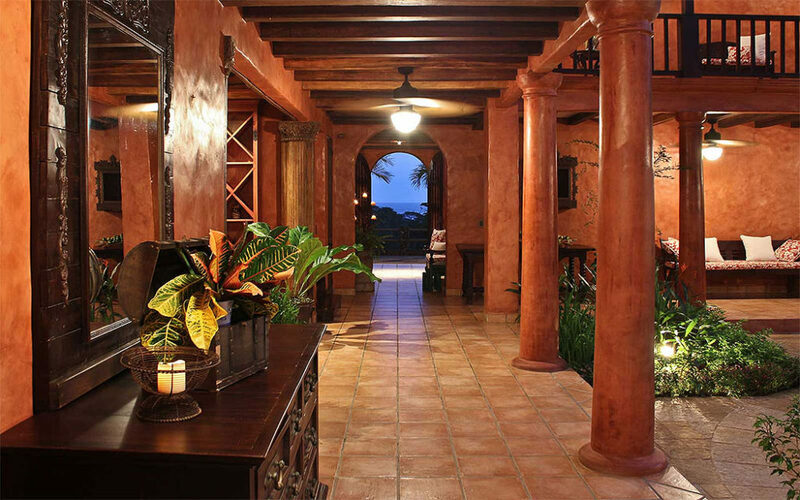 And there’s an adobe feel to the walls and impressive columns throughout that seems right at (pun intended) home. 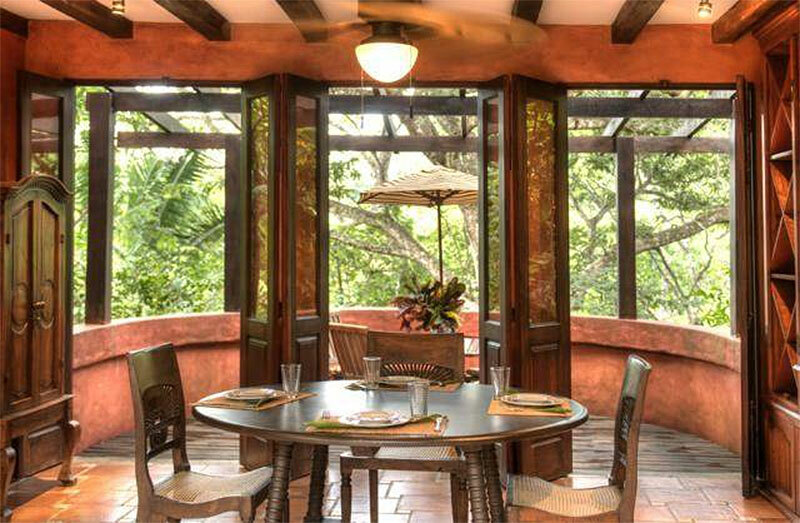 Even the banquet-hall sized outdoor patio has been crafted with wonderful wood structures to maintain that Jungle feeling. Each of the 3 villas has a large enough layout that you’d never have to worry about running out of space for family and friends. 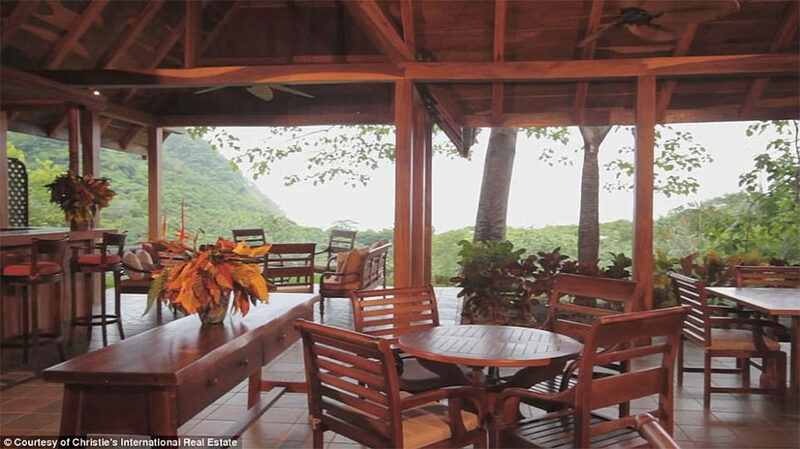 And, of course, they each have multiple verandahs to take in the stunning views. Plus, each villa has its own private pool, no need to share one big pool… everybody gets their own. Granted, the pool by the main villa is BY FAR the nicest, with intricately carved stone walls as a backdrop for your swimming and relaxing. 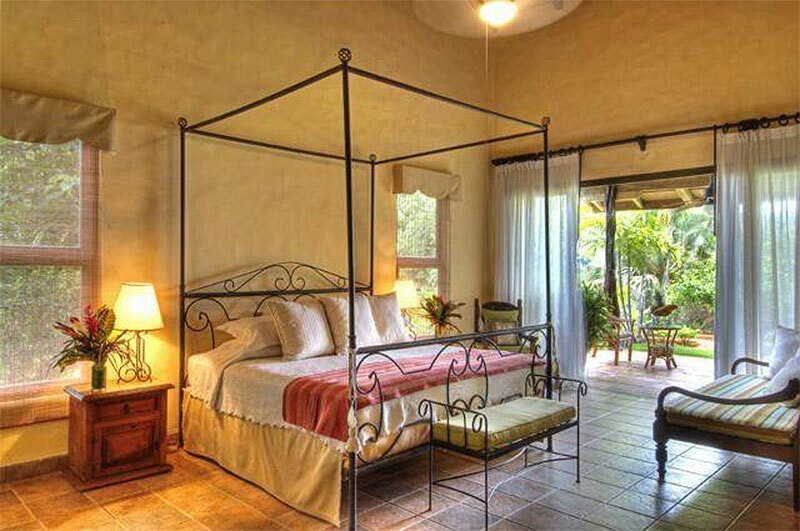 The largest of the villas – and, yes, I call dibs – is known as Casa Guanacaste. 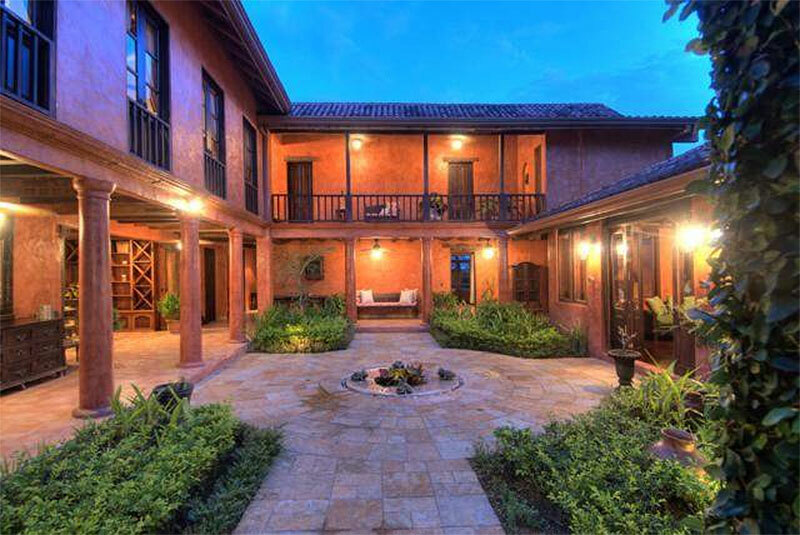 It boasts seven bedrooms and eight bathrooms. 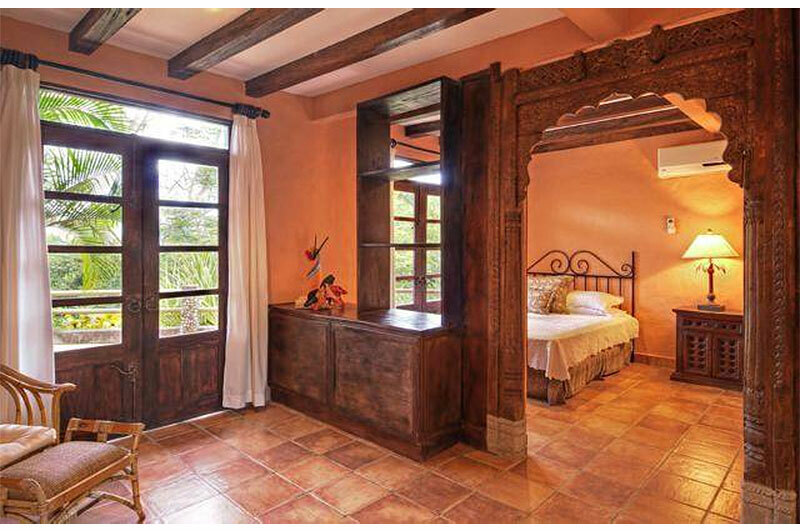 In stark comparison, each of the two smaller guest villas (referred to as Casa Barrigona and Casa Dorada) only have two bedrooms. Although there is also the loft and the guest cottage to consider. Yes, the Guest Villa also has a Guest Cottage. 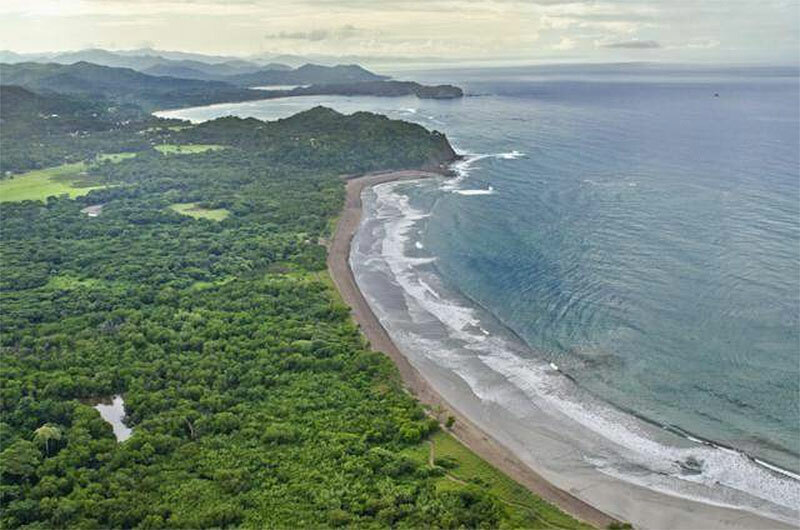 The Nicoya Peninsula, where this marvelous jungle compound is situated, is on Costa Rica’s northern Pacific coast. This area is known for its untouched tropical splendor and dazzling white-sand beaches. Which is why, for me, the most appealing parts of this entire compound are the what’s outside of the villas; the gorgeous grounds and stunning verandahs. And, of course, one cannot talk about the grounds themselves without remembering that these grounds include a private white-sand beach. 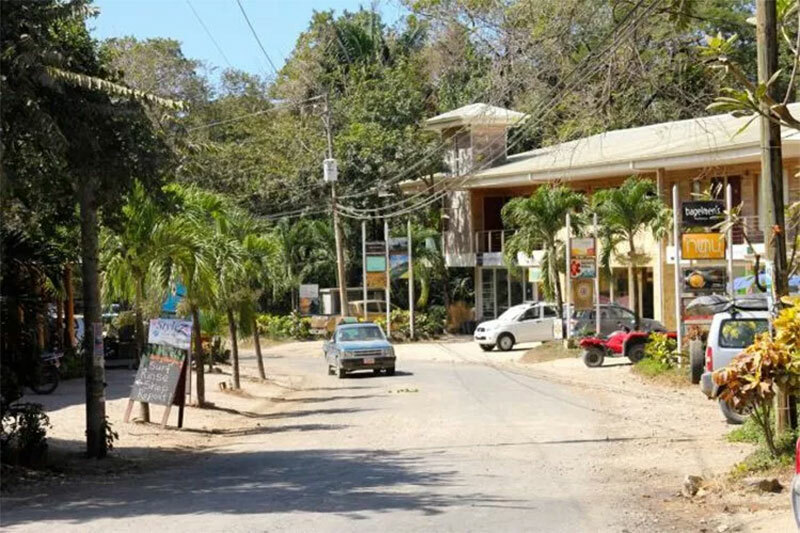 The nearby villages of Samara and Nosara offer what the realtors refer to as “quaint” restaurants and shops, should you wish to venture away from the peace and quiet of this stunning jungle compound. 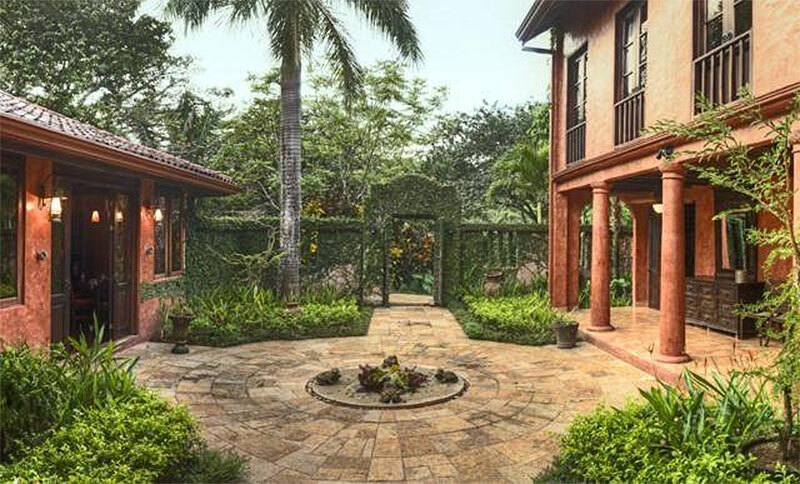 The funny part – for us normal people – is that the actual price on this house is not quite $30 Million (as indicated in the title of this article) but is – in fact – $29,750,000. I rounded it up for the sake of simplicity. But the change you’d get back from that $30 Million purchase is just about enough to buy you averaged size house in the USA. The property has been on the market for about a year now. Thanks, again, to Christie’s International Real Estate for providing a unique glimpse into these fabulous luxury homes.